Geographical Range:Throughout all four deserts of the American Southwest. Habitat:Grasslands, brushlands, bunch-grass and sagebrush areas of open plains and deserts. Diet in the Wild: Forbs, legumes and cactus. Location in the Zoo: Thundering Plains. 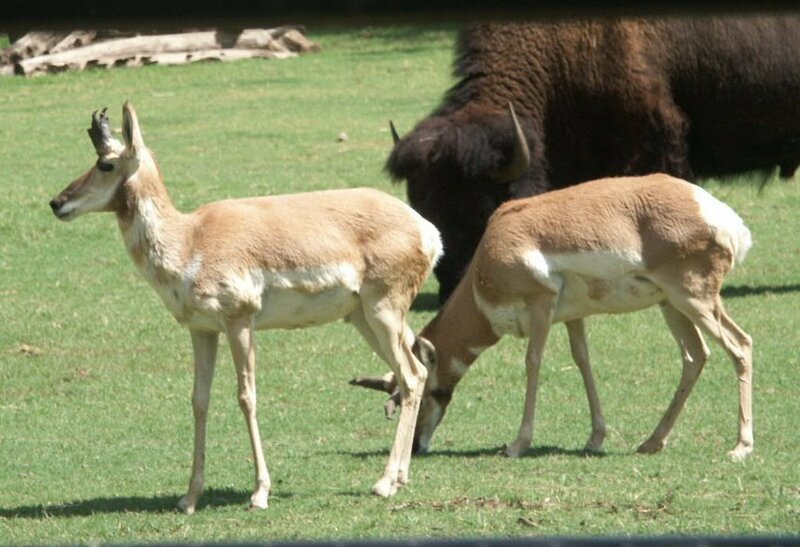 Both the female and male pronghorns have horns but the females' are tiny spikes versus the males' 12-18 inch horns. They are the only animals in the world who shed their horns annually. 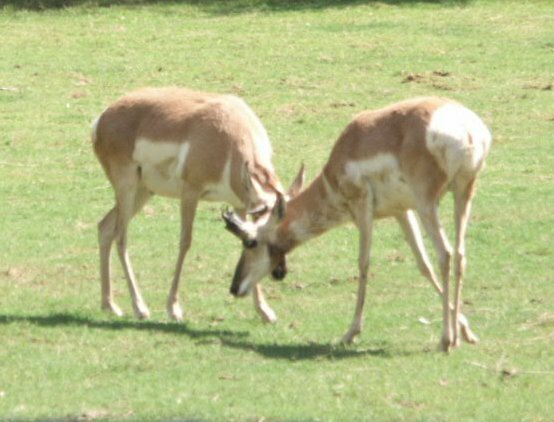 The busks are aggressive in defending their territories against other pronghorn bucks. Their harems usually contain 3-8 does. In the winter, however, their bands are usually larger than the ones in the summer time. Pronghorns can survive in temperatures ranging from 180 degrees to 50 degrees below zero. Because Pronghorns graze large open fields, they rely on their speed and keen eyesight. 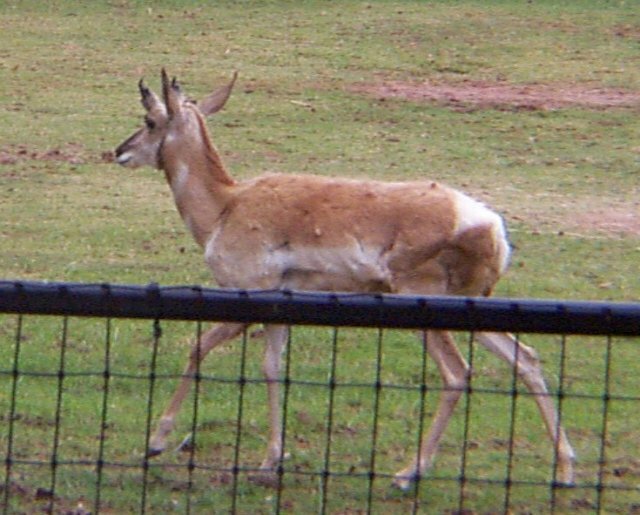 Pronghorns can detect movement up to four miles away. The zoo only had one Pronghorn on displayed when I went. He was amoung a bunch of giant American Bisons which made him look a lot smaller than what he really was. For the most part, he laid still in the afternoon sun. He didn't seem to have a care in the world.